Elegant and very rare Patek Philippe 3404 cased in platinum and powered by a manual caliber. 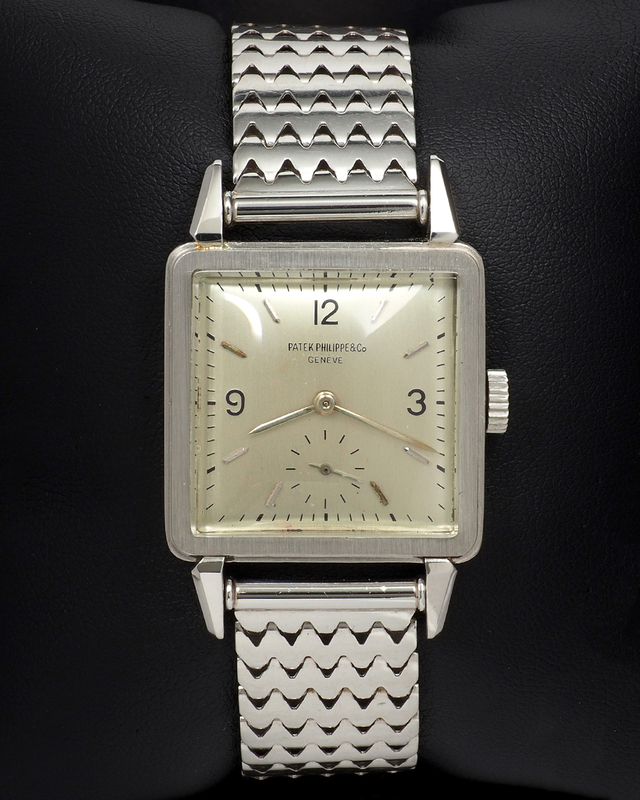 The sharp-edged rectangular case is seemingly un-polished and has been worn perhaps only a few times in its life. The platinum hallmark to the case side is very crisp, almost never seen on watches of this age. This watch is put together by a platinum bracelet stamped Tiffany & Co. on the buckle. The case manufactured by renowned Markowsky, a firm responsible for some of the most beautiful and important Patek Philippe cases. 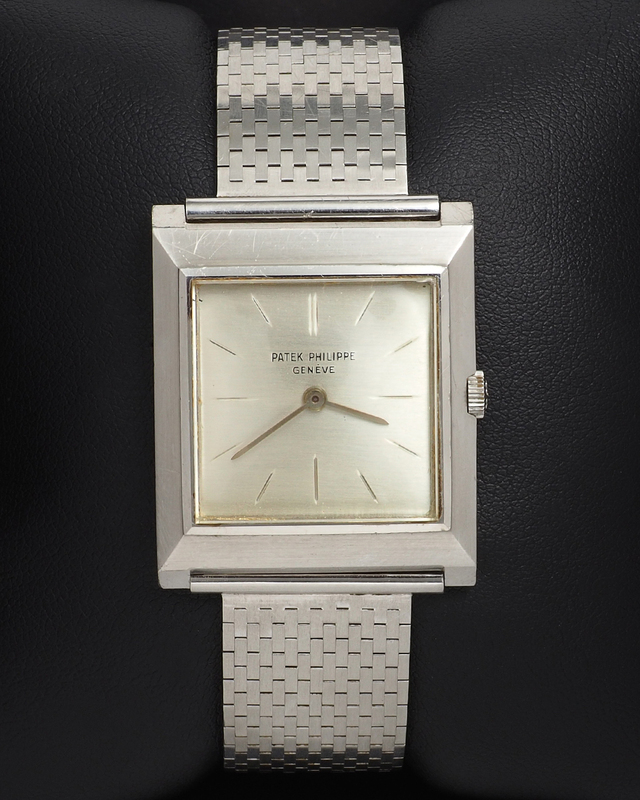 This watch was manufactured in 1960 and is accompanied by an Extract of Archives document confirming the original sale date of November 29, 1960. The feeling of wearing a vintage platinum Patek Philippe cannot be replicated by any other watch. Perhaps it's due to the notion that these watches were being produced during the trying times of World War II that amplify their importance and rarity. Pictured is a ref 2422 cased in a square platinum case and put together by a platinum bracelet. Powered by a manual movement.